How time has flown! Duluqer Salman, the DQ of Malayalam film industry is celebrating his princess’ called Maryam Ameerah Salmaan’s first birthday on Saturday. The actor has finally shared the first picture of his daughter on social media. 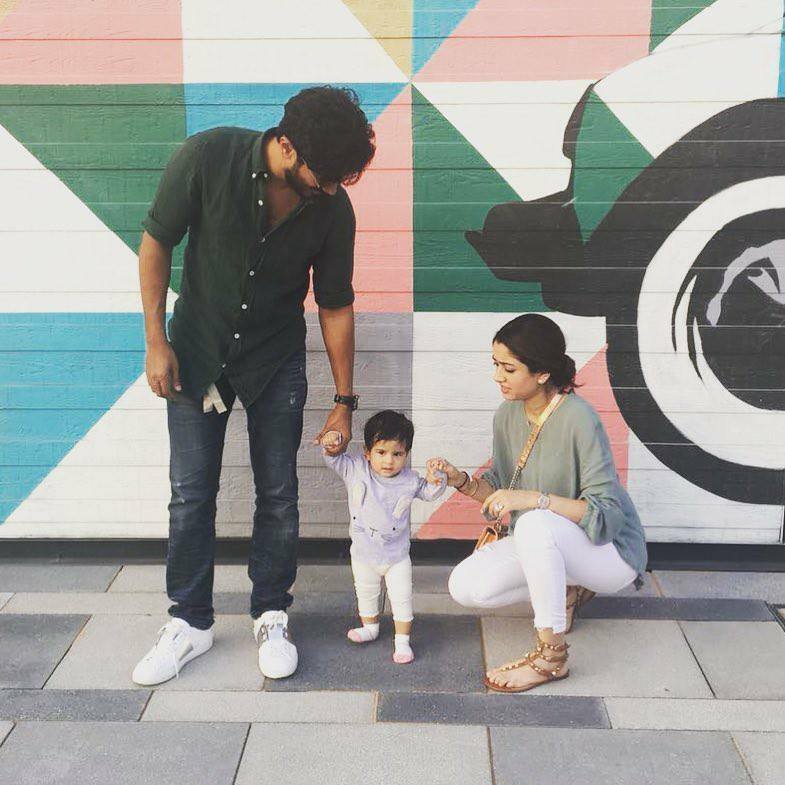 Dulquer Salmaan shared an adorable picture his little girl. “Wishing the love of our lives the happiest first birthday! Can’t believe you are already one! You’re our biggest blessing and you’re already this huge personality and you fill up our lives and homes with only love and joy. Happy birthday Maryam babyyyy” the actor wrote. Within just a few hours, the photo has gone viral on social media. It has received over 233,717 likes on Instagram. In Facebook, little Maryam’s photo received over 85k likes and it looks like she is a star already. Dulquer Salmaan is awaiting for his tollywood debut with the release of Mahanati which is scheduled to release on May 9. The actor will be reprising the role of Gemini Ganesan in the biopic which based on the life of actress Savitri. Keerthy Suresh is taking the role of Savithri in the movie. The movie also stars Vijay Devarakonda, Samantha Ruth Prabhu. The movie will also release in Tamil as Nadigaiyar Thilagam.